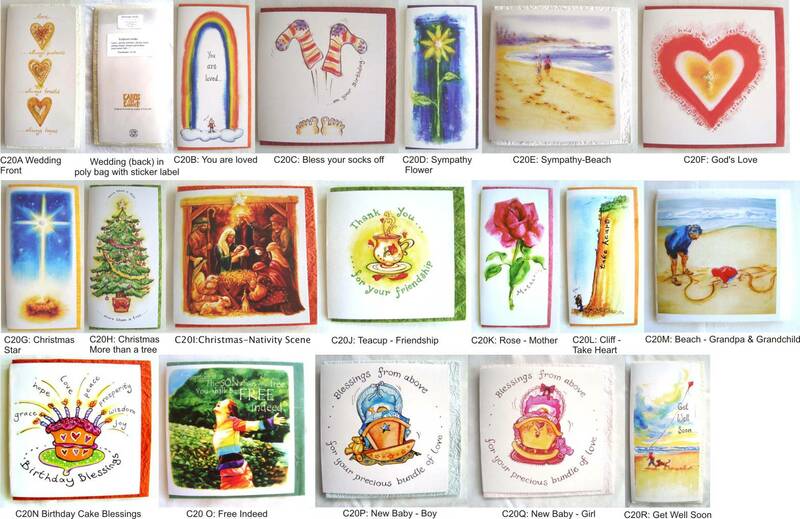 This is our range of bright, arty,Christian-themed cards. They are packegaed in a polyprop bag with a coloured handmade paper envelope. A sticker showing the message inside the card is used to secure the polyprop bag. Unless otherwise requested you will receive a mixture of designs.